Golinks make it easy to access your companies important URLs.Invite the GoLinks bot to any Slack channel, and it will be able to resolve go/links posted in that channel. You can also use the /go Slack command to search all of your golinks. 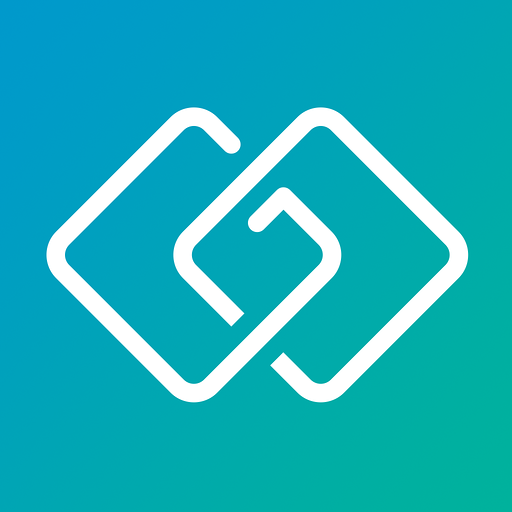 Create your golinks at https://www.golinks.io, and have them accessible through Slack.Your golinks are accessible by your entire team, making it easy to get everyone on the same page. Use them around the workplace to make sure promotional pieces won't be forgotten. 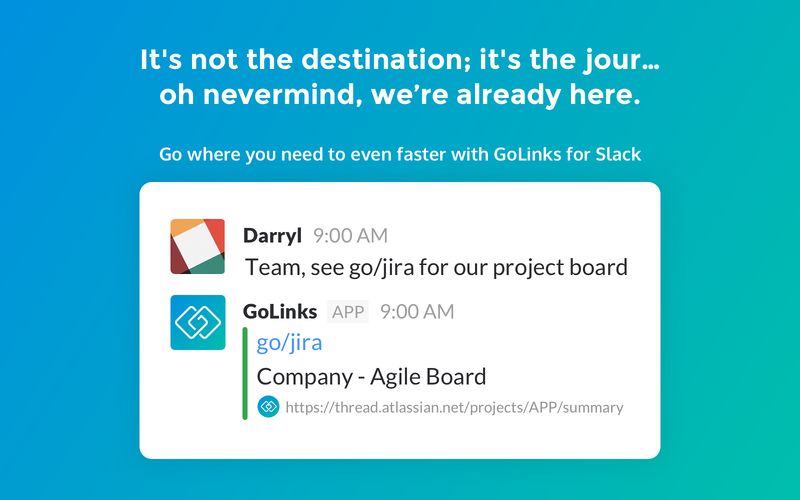 See trending golinks and manage existing links from a user-centric dashboard. Our platform allows your employees to get to frequently used websites faster by transforming long URLs into easy-to-remember links. Your golinks follow you, not your device. Simply log into your account on any device to access them. These golinks belong to your company and are only accessible by your company’s employees. We keep your golinks secure and private, only allowing those that have a verified account with your company to view, use, and create golinks.No payment needed to get started using GoLinks! Just connect the Slack app, and create a free account at https://www.golinks.io. Once your accounts are linked, your golinks will begin resolving right away! GoLinks will be able to access your profile fields, as well as any data you’ve entered in them. GoLinks will be able to install a bot user that appears in and has access to your workspace’s directory. It can also post messages and view activity on messages in any channel it is invited to.